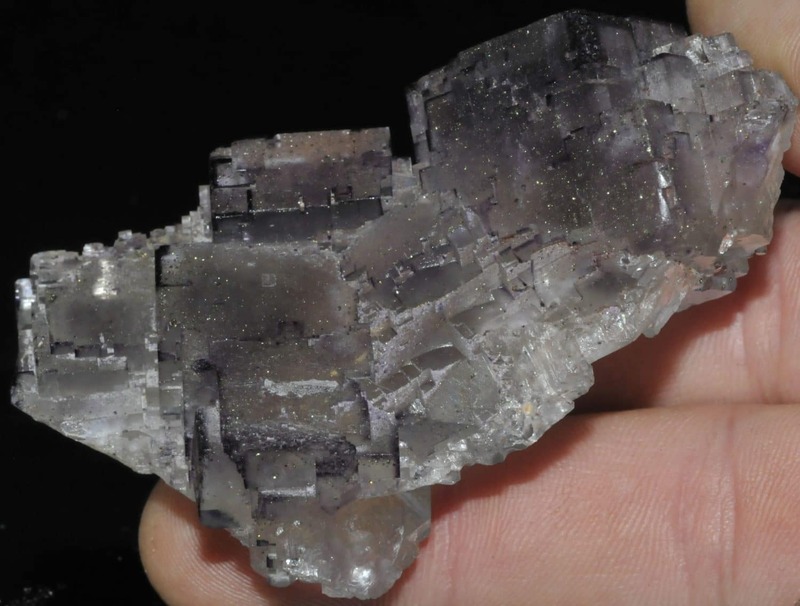 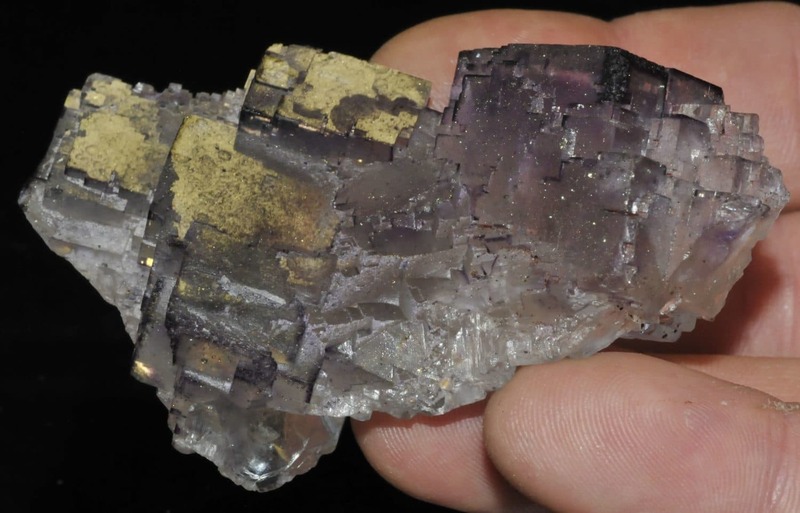 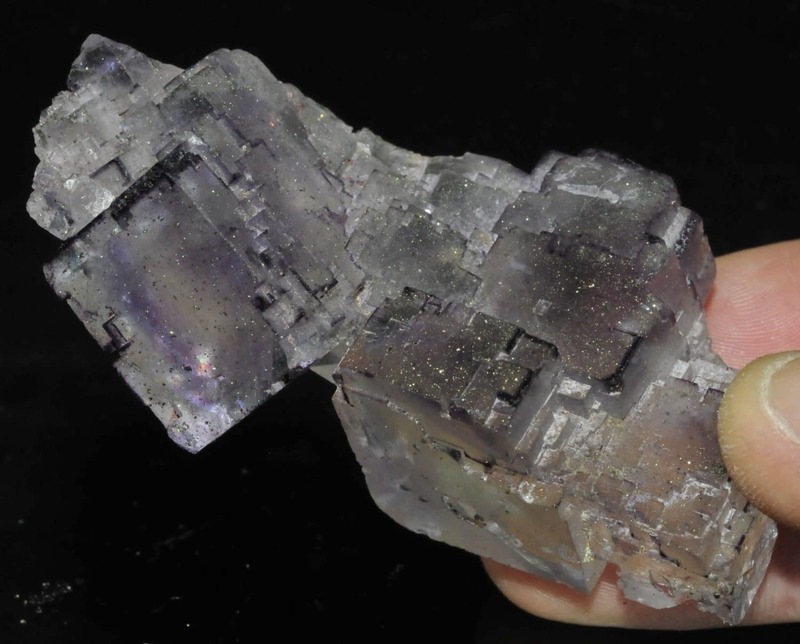 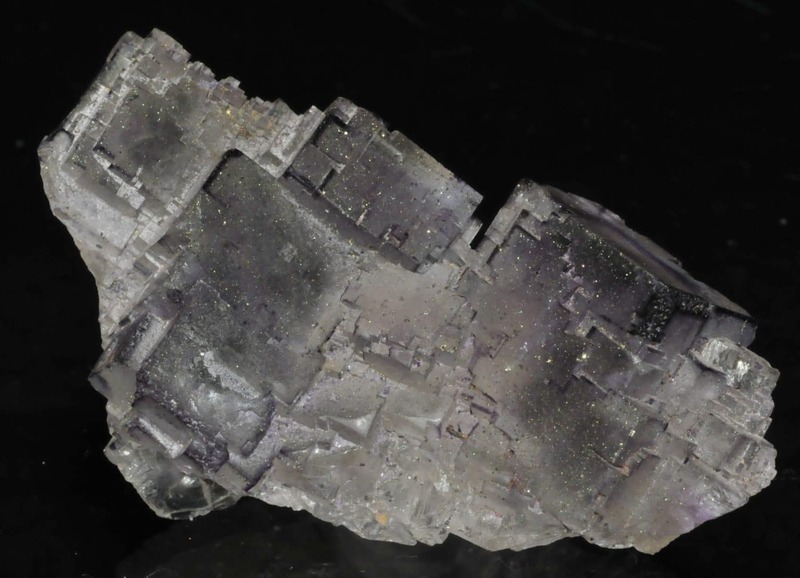 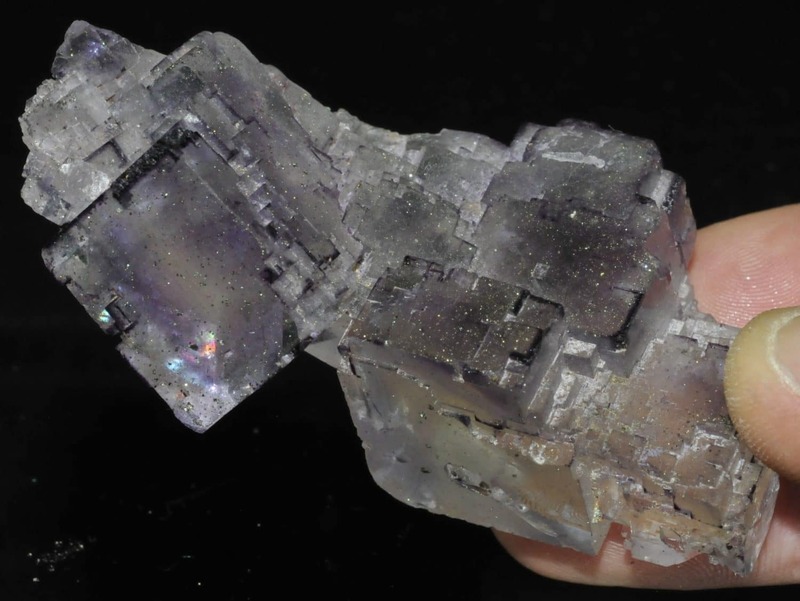 Group of crystals with phantom growth of fluorite from the Elmwood mine, Carthage, Smith Co., Tennessee, USA. 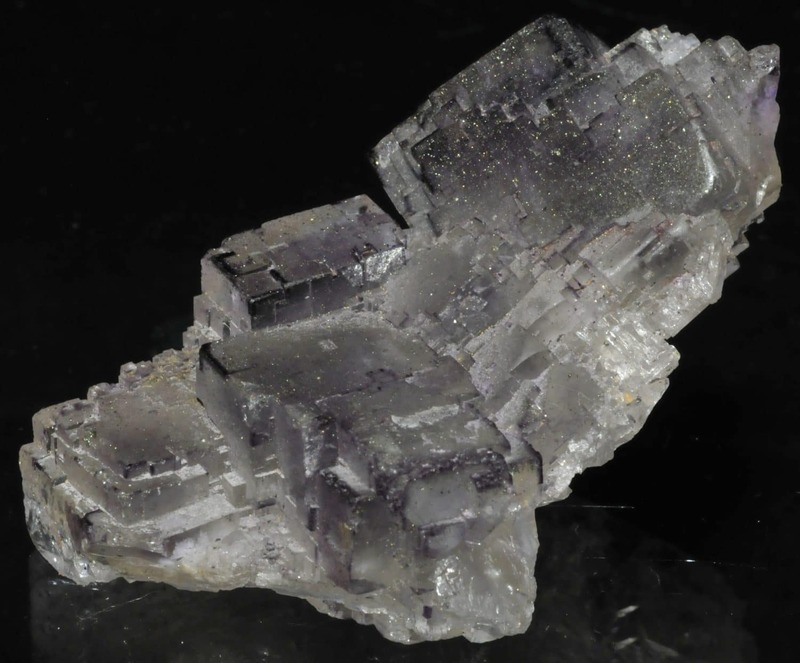 It has only been partially possible to photograph the purplish phantom growths inside the crystals. 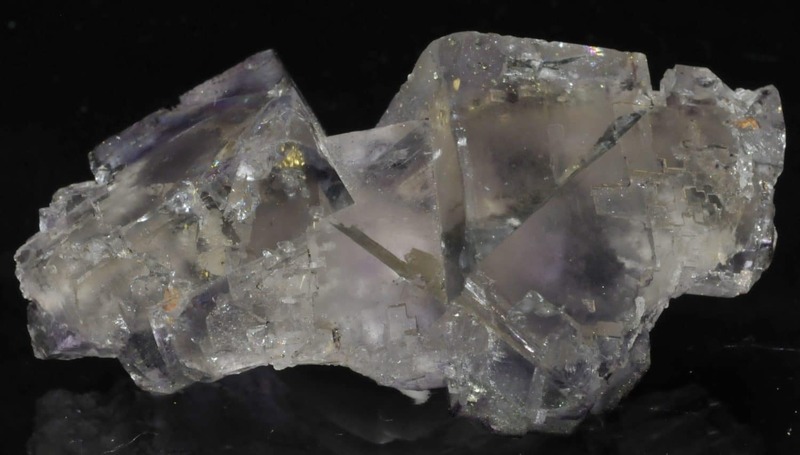 The largest crystal has an edge of approximately 3.2 cm.